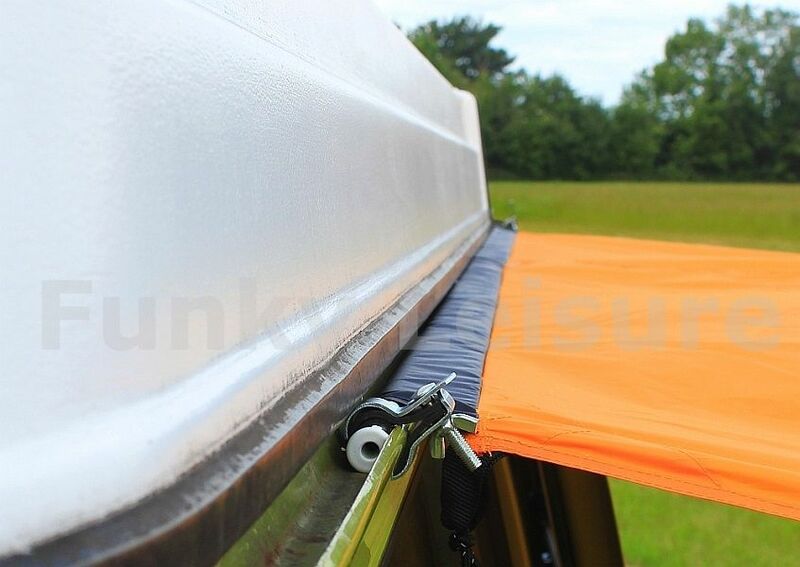 This Universal 320cm Pole and Clamp Drive-Away Kit is the easiest, quickest and most secure method of connecting a wide drive away awning like a Vango Attar 380 or Outdoor Revolution Movelite T4 Air to a VW Transporter Type 2 Bay, T25 or any other campervan with a roof gutter rail. 1. Slide the pole through the awning tunnel pole sleeve and place it into the roof gutter rail - secure each exposed pole end with a clamp. 2. The 3rd clamp can be used to secure the middle of the pole on the inside of the awning tunnel where there is usually a cut away section of material. 3. Angle the clamps upwards slightly so they don’t obstruct vehicle doors. 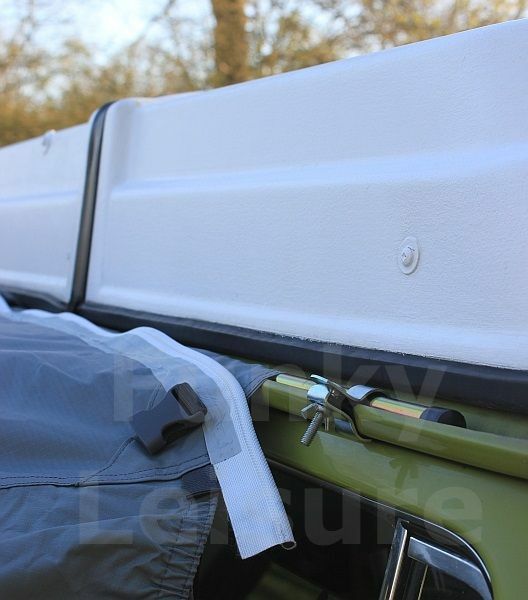 *Please note: if you’re vehicle has a high top or roof rack fitted, check that there is enough space in the roof gutter for the pole to fit. 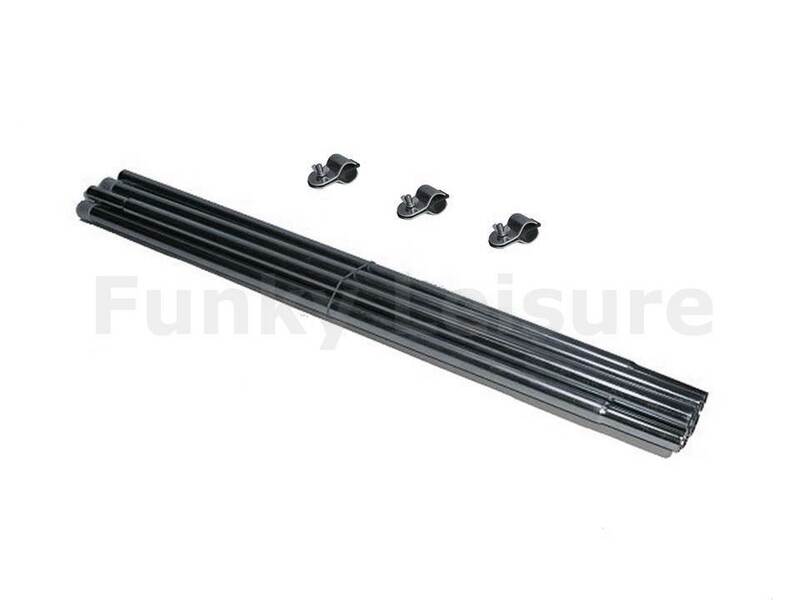 If not, you may have to use the Figure of 8 Awning Channel method to connect.